Get ahead of the flu season to maximize your impact health improvement, HEDIS and Medicare Star scores and member retention. 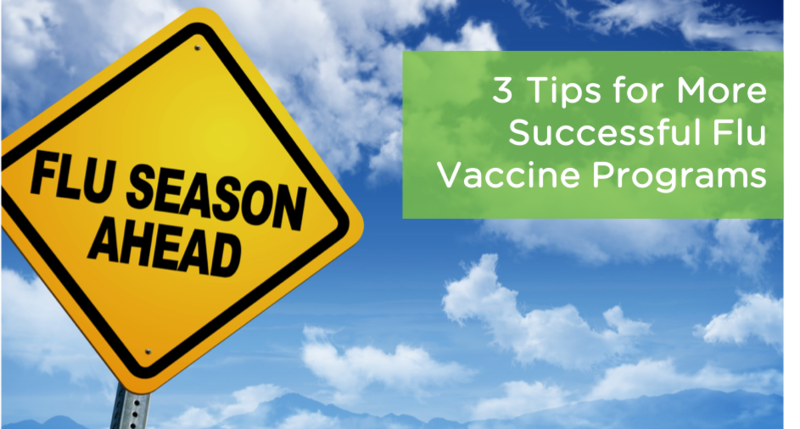 It may feel early, but now is the time to start a strategic mix of educational mail, email and automated voice calls to connect with members, explain vaccine benefits and motivate vaccination. Communications programs that include educational messages generally increase screening rates. Explain the benefits of getting a flu shot using the “what’s in it for me” reasoning and provide useful information to motivate behavior, such as specific advice on how to access flu clinics. Ask for intent with questions like "Will you get a flu shot?". If you hear "I still got the flu last year", "I'm healthy, so I don't need it" or "It doesn't work" in response, then leverage barrier breaking messages to bust those myths with cold hard facts! We've been conducting flu outreach campaigns for years and find the most common barriers are (1) I'm healthy and don't need a flu vaccine and (2) the flu shot will give me the flu. PROOF POINT >> One client saw 20% of their members who said “no” to getting a flu shot, change their intent to ‘yes’ after listening to a barrier breaking message. Here's an example of a message that has worked well in response to individuals who push back on the vaccine because they're healthy and don't think they need it: "Even healthy people can get the flu. And it can make you sick enough to miss several days of work or school. Getting a flu shot is your best protection from losing days to illness. And it also protects those around you. Are you sure you don't want to get a flu shot this year?" CONCLUSION: A well thought out approach and timely outreach to provide accurate information to consumers can counter excuses and go a long way in educating people that the single best way to protect against the flu is to get an annual vaccine. And make sure the education goes beyond flu vaccine barriers or excuses to include good health habits like proper hand washing, covering your mouth when sneezing, and staying home when you are sick. Welltok is ready to help you start promoting flu shots early with convenient channels, effective messaging and education. Together, let's tell your members it's time to “roll up your sleeve!”. Click here to schedule a meeting and let's talk about your organization's needs and how Welltok can help.